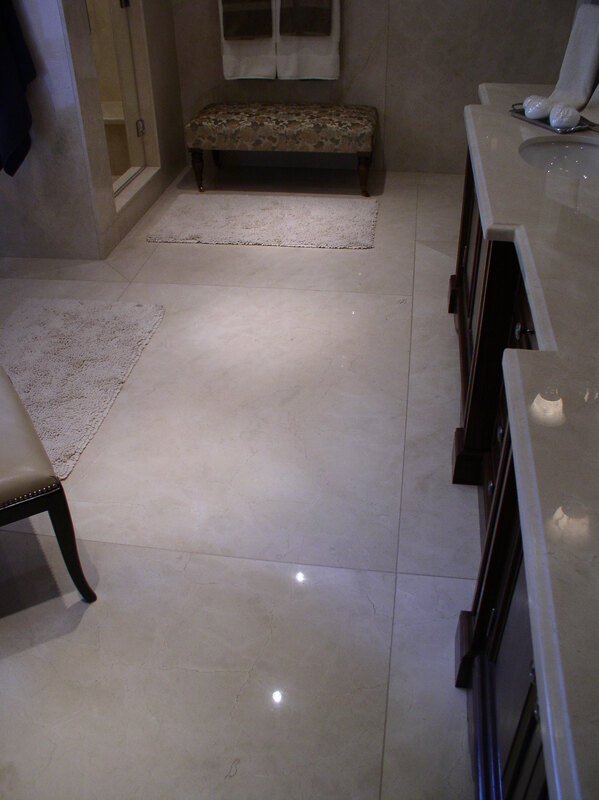 Natural stone on floors is beautiful and timeless. For thousands of years, we’ve been using it to create beautiful spaces. Stone tile adds a quality and warmth to a room that’s difficult to compare with any other material. It’s classic, stylish and unique. 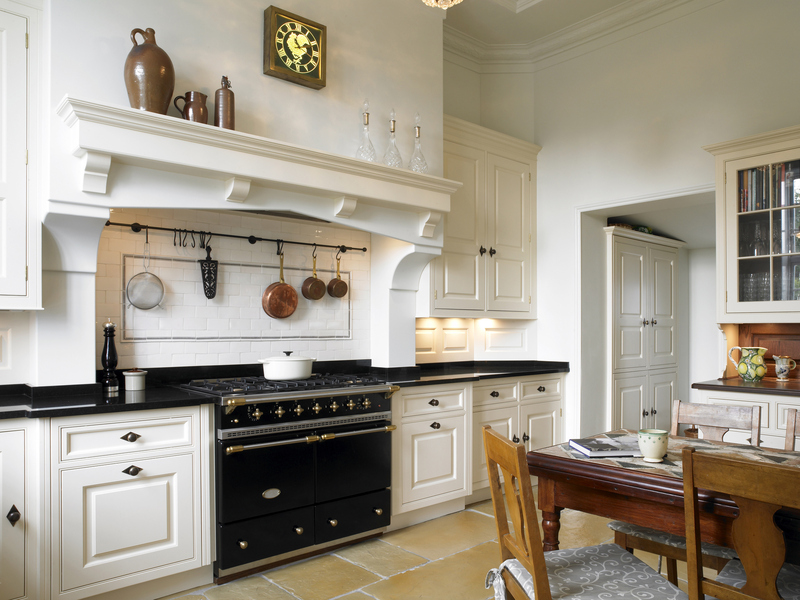 Stone continues to be a premium choice for a renovation or new build, as its durability is difficult to dismiss. 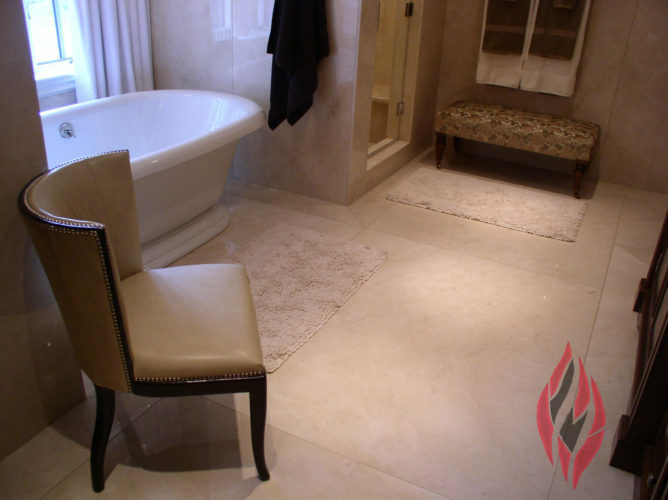 Stone floors are diverse in terms of style (there are many different kinds of stone you can use) and can suit both a traditional and contemporary setting. Ideal for hallways, kitchens, dining rooms, and bathrooms, it’s increasingly being used in living areas and bedrooms as well. Stone aesthetically works with other natural materials such as wood. Beautiful but also practical, stone has thermal mass; that is the capacity to absorb, store, and release the sun’s heat energy. Its density and levels of conductivity means it changes temperature more slowly and help to keep the internal temperature of a building stable. Objects that have thermal mass have inherent qualities for both heating and cooling. If you’re in a colder climate, it works particularly well with under floor heating and walking on a heated stone floor is something you should do at least once in your life. Stone conducts heat well, making it a top choice for radiant heat systems. Stone floors are an especially great option in a passive solar heated building where sufficient, properly situated thermal mass is a vital and complimentary component of passive solar design. If you’re in a warmer climate, stone is naturally cool. Stone floors are also helpful if you suffer from allergies. 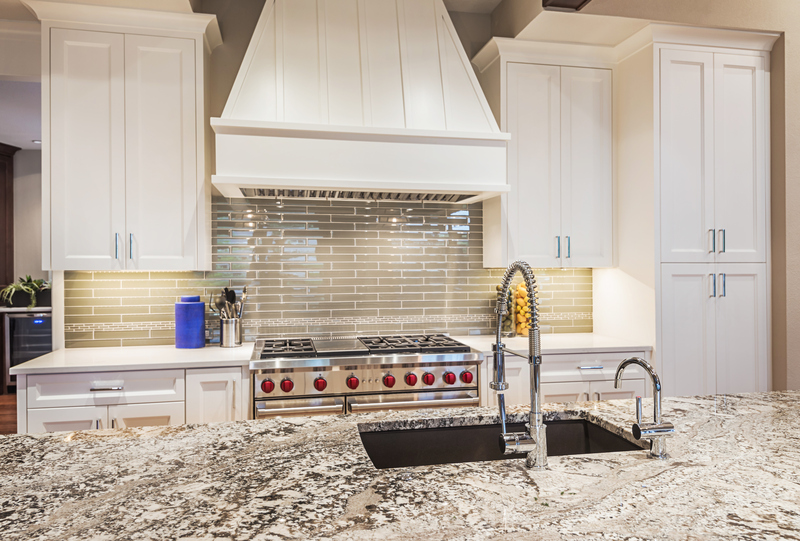 Since stone is generally considered a hard, nonporous surface, it’s easier to keep clean and free of allergens. Even “porous” stone, like marble, is not very porous compared to materials like wood or conventional carpeting. You have choices when it comes to stone on your floor. Generally, the main options are travertine granite, marble, limestone, quartz, and slate, all of which have different characteristics and aesthetic features to consider. There’s a great piece at Houzz that is helpful in navigating some of the differences between the materials. You can find it here. Lastly, flooring is a forgotten upgrade: The rule of thumb for flooring is the more resilient and long lasting, the higher the upgrade is, but the higher return is on investment (ROI). Vinyl flooring and low end carpet is at the bottom of the upgrade spectrum. Natural stone or tile add value to your home.